(WAKINGTIMES) Inspired by the geniuses Nikola Tesla and Albert Einstein, teenager Max Loughan loves to invent things, in fact, he says he has known his entire short life that his purpose was to change the world with his inventions. And he may just do it. His invention looks somewhat reminiscent of Tesla coil, and operates on some of the same principles described by the electric visionary. The device is rather simple, harvesting electromagnetic energy from the atmosphere, then converting it to direct current which can be used to power electrical devices. What’s even more incredible is that Max built his free energy device out of materials he purchased for less than $15. That’s right, for the price of an average lunch, it appears that anyone can have access to free energy. In a demonstration with KTVN, Max uses current created by the machine to power a strip of LED lights that he had wrapped around his twin brother, astonishing to both his own family and the visiting news crew. Max’s achievement is impressive, to say the least, and the fact that works of Nikola Tesla are now inspiring the next generation of inventors is quite inspiring, although one has to wonder why Tesla’s ideas have taken some 75 years to reach the mainstream. 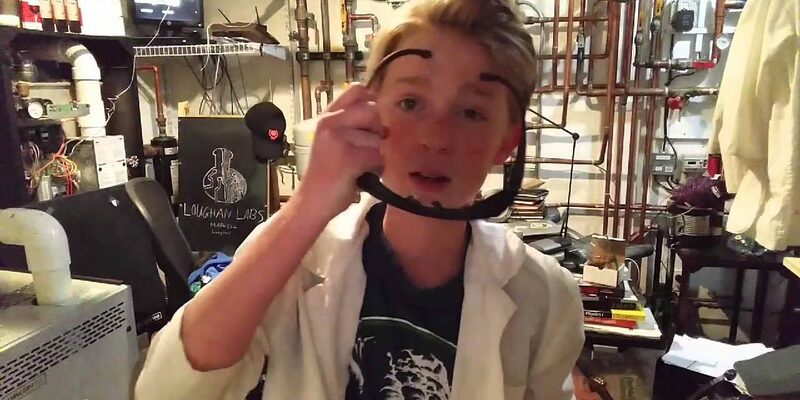 This article (This 13-Year-Old Invented a Tesla-Inspired Free Energy Device for $14) was originally created and published by Waking Times and is published here under a Creative Commons license with attribution to Terence Newton andWakingTimes.com. It may be re-posted freely with proper attribution, author bio, and this copyright statement.